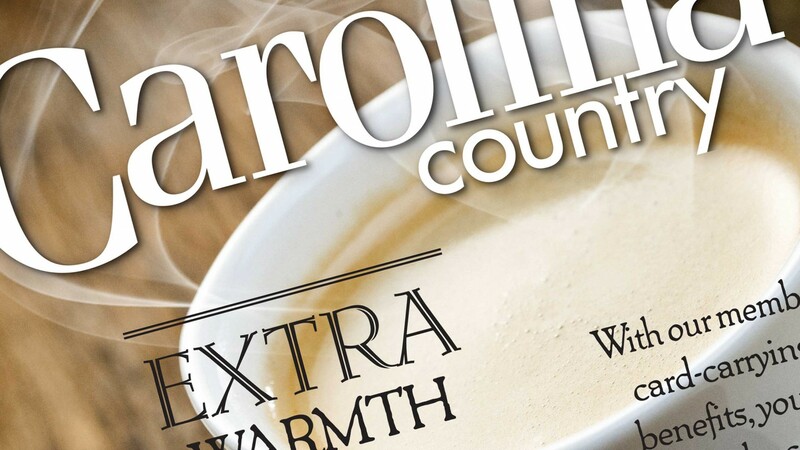 The main objective of this Carolina Country magazine wrap was to provide Blue Ridge Electric added exposure for promoting their Co-op Connections Card. Blue Ridge Electric wanted to let their co-op members know that each member is entitled to many card-carrying benefits and that each member could activate those benefits at any time throughout the year, but especially during the heart of the gift giving holiday season. 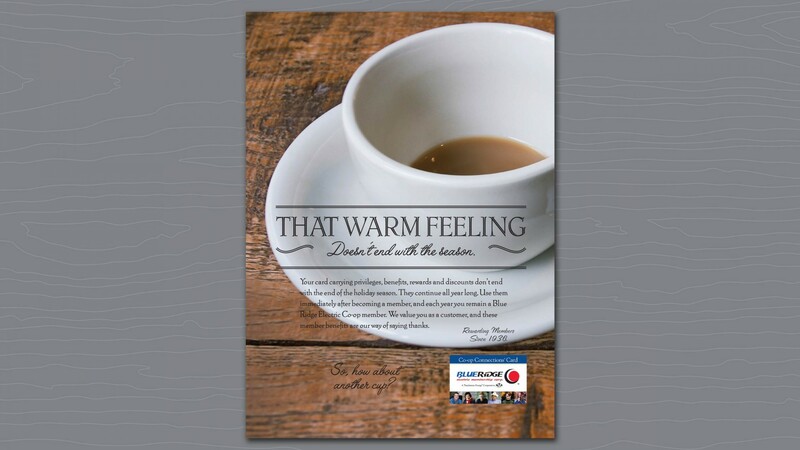 Pursuing an “Extra Warmth This Season” theme, and a visual approach of showcasing delectable treats for readers, this magazine wrap successfully connected readers with their Co-op Connections Card. The piece stressed that members could use these benefits on others during the holiday season, as well as, splurging on themselves as an added treat. 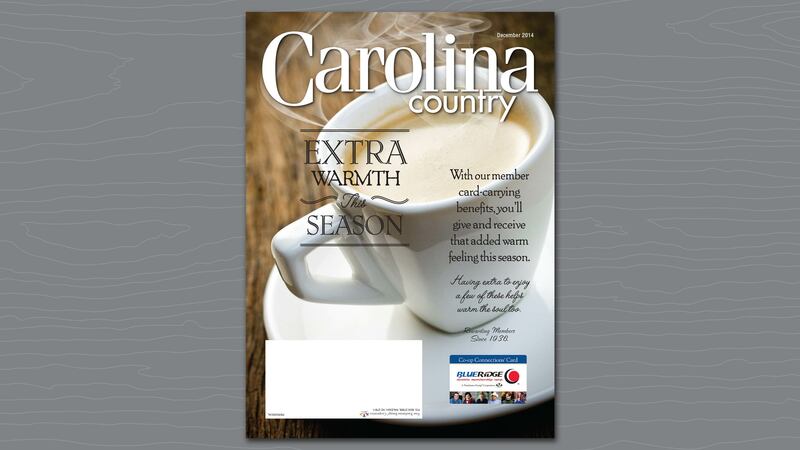 Full view of magazine wrap front cover created for Blue Ridge Electric. 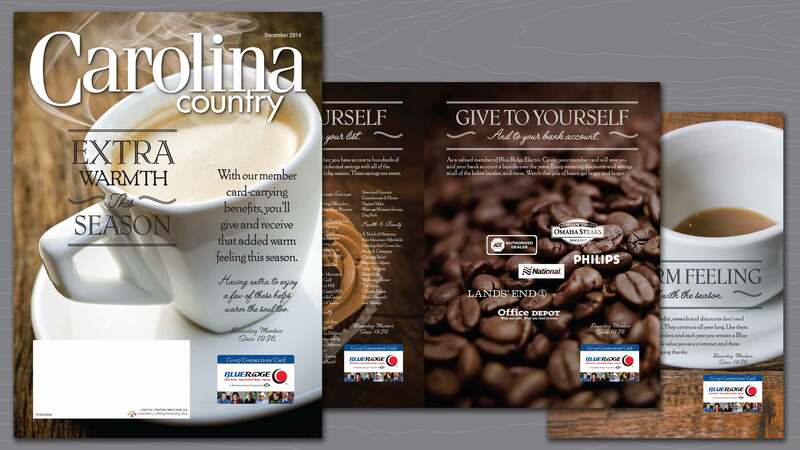 Full view of magazine wrap interior spread created for Blue Ridge Electric. 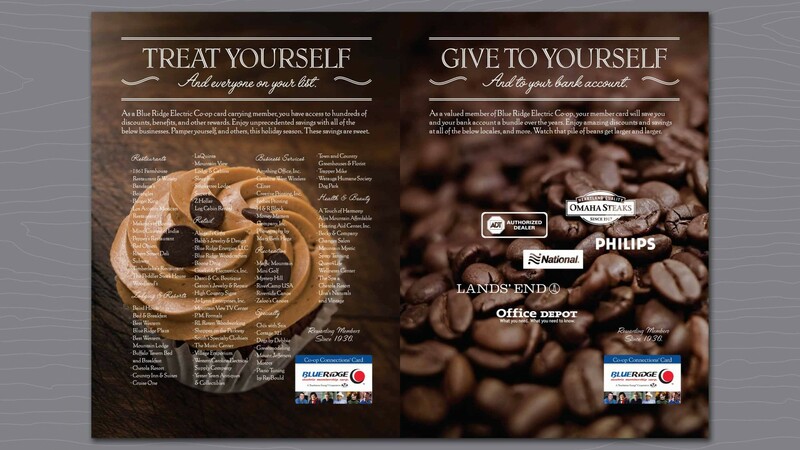 Full view of magazine wrap back cover created for Blue Ridge Electric.